The 2018 Dodge Durango leads the pack in the full-size, luxury SUV market. This sprawling and imposing SUV is embellished bumper to bumper with high-tech features, advanced safety equipment and, most of all, luxurious comfort amenities. Tack onto all this an unparalleled towing ability and it is easy to see why the 2018 Dodge Durango stands head and shoulders above the competition. As soon as you pull into our lot here at Tempe Chrysler Jeep Dodge Ram, you will be overwhelmed with our large volume of 2018 Dodge Durango inventory near Phoenix, AZ, and near Glendale, AZ. Take your time looking around and be sure to ask any of our sales staff about our current special offers on a 2018 Dodge Durango for sale in Tempe, AZ, and near Gilbert, AZ. Stop in anytime during business hours, seven days a week, and test drive a 2018 Dodge Durango near Phoenix, AZ. The 2018 Dodge Durango in Tempe, AZ, is loaded to the gills with many top-notch standard features. Among these is a 7.0-inch touch-screen display that includes Android Auto™ and Apple CarPlay® Support. With safety being of paramount importance on every Dodge vehicle, you will enjoy additional peace of mind with the inclusion of a Sentry Key® theft deterrent system, as well as a standard ParkView® rear back-up camera system on every 2018 Durango. 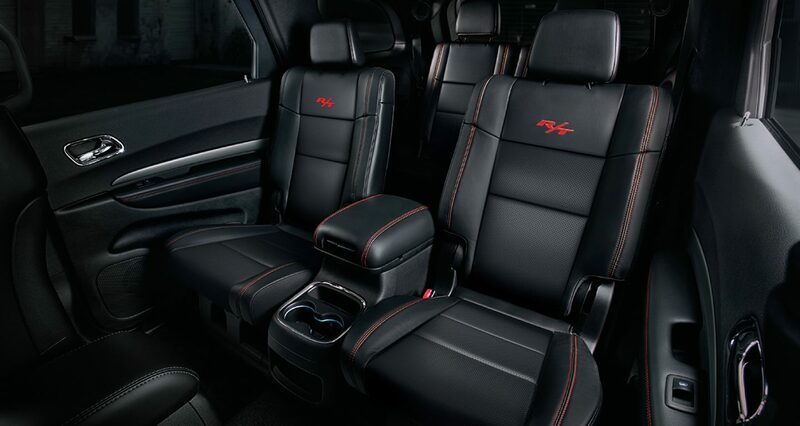 For premium driving comfort, feel free to upgrade your cabin with available leather-upholstered, heated seats and a heated steering wheel. When you want to let a bit of the outside in, simply push the button and open your optional power sun roof. Treat your family to the ultimate in SUV driving behind the wheel of 2018 Dodge Durango, offered here at Tempe Chrysler Jeep Dodge Ram. When it comes to power, the 2018 Dodge Durango has you covered with three powerhouse engine choices. First up is the anything- but-standard 3.6-liter V6 engine. This engine generates up to 295 horsepower and 260 lb.-ft. of torque, so you can easily tow up to 6,200 pounds. The beefier 5.7-liter HEMI® V8 engine delivers up to 360 horsepower and 390 lb.-ft. of torque and can tow up to 7,400 pounds. 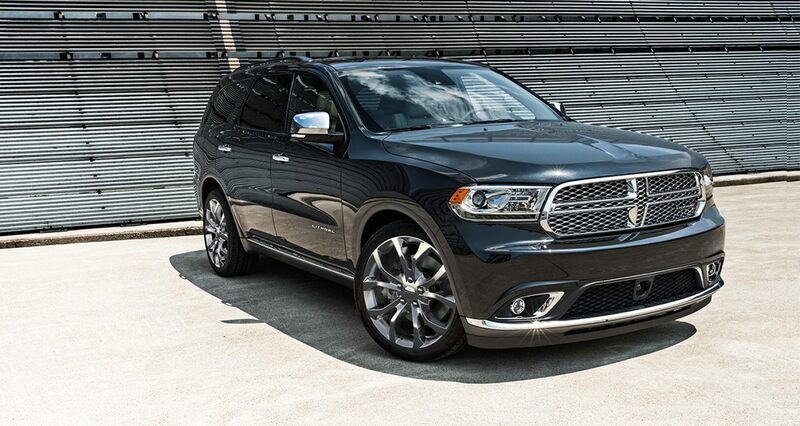 Hold onto your hat with a 6.4-liter HEMI® V8 engine! This engine can tow up to a best-in-class 8,700 lbs. behind its 475 horsepower and 470 lb.-ft. of torque. Rear- wheel drive and an eight-speed automatic transmission are the perfect complement to any of these incredible engines. 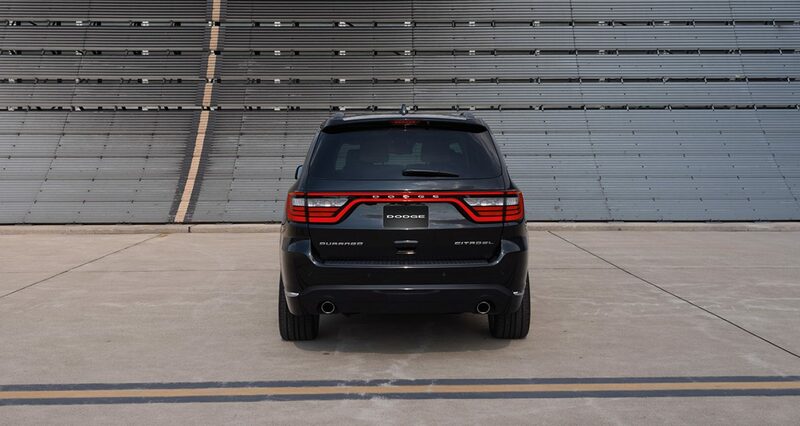 You will also find that all-wheel drive is an available option on any 2018 Dodge Durango offered here at Tempe Chrysler Jeep Dodge Ram in Tempe, AZ.